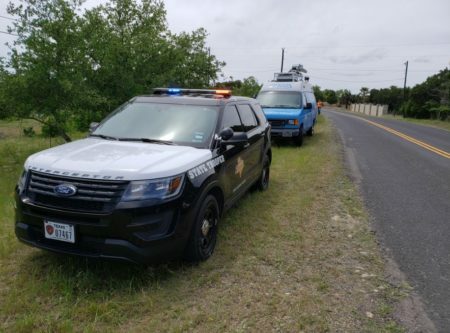 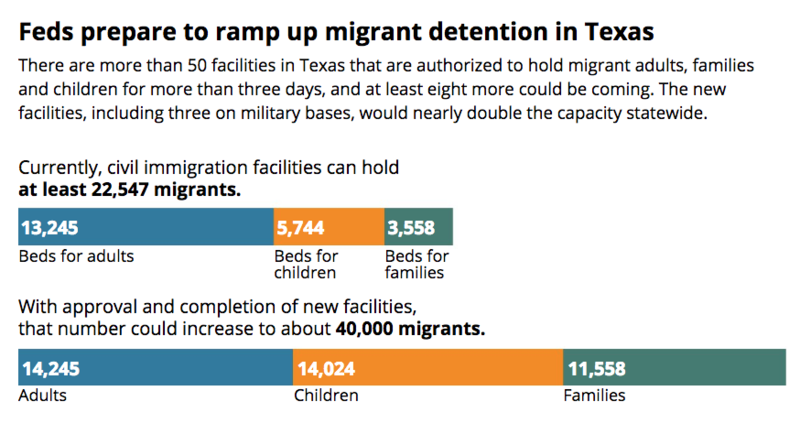 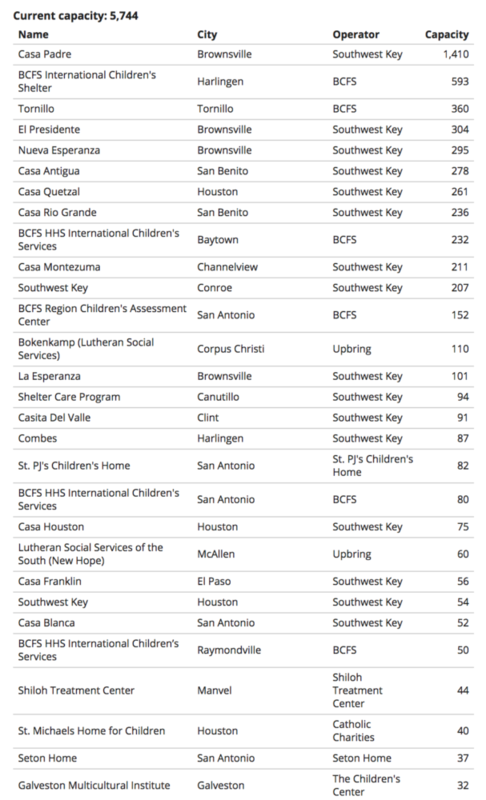 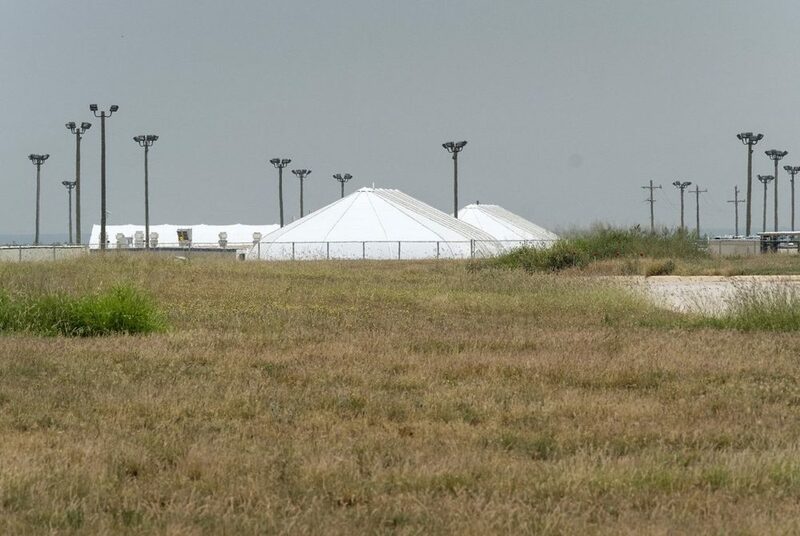 The South Texas Family Residential Center in Dilley is one of two family immigrant detention centers in Texas. 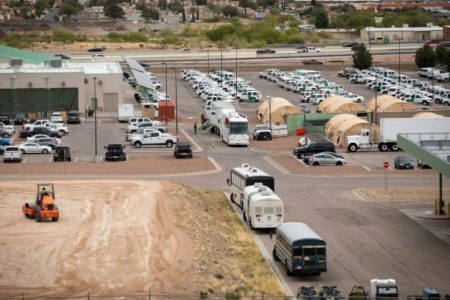 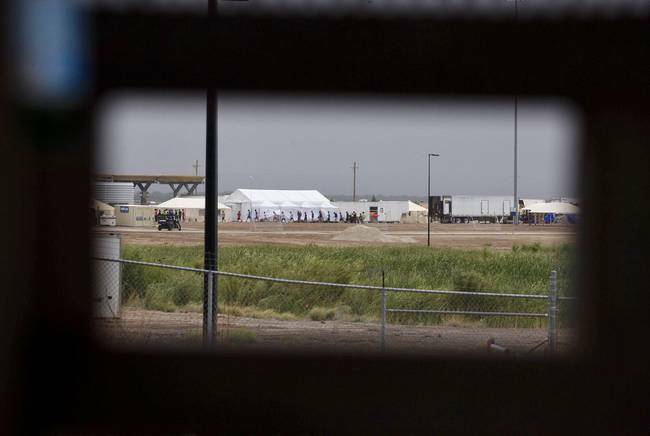 The tent city erected to house children separated from their parents at the border in Tornillo, on June 16, 2018. 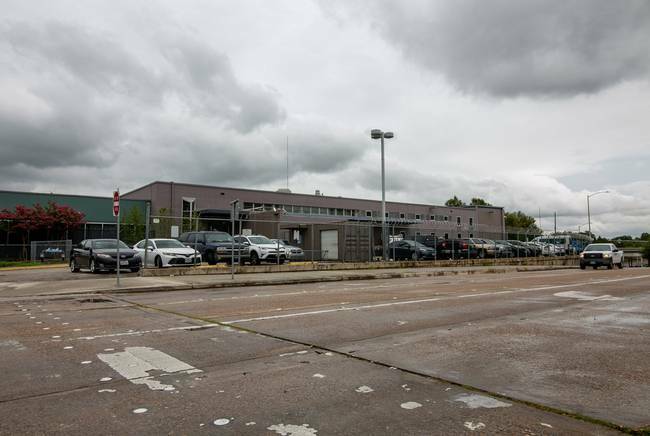 A proposed child migrant center in a converted warehouse in downtown Houston has been criticized by state and city officials. 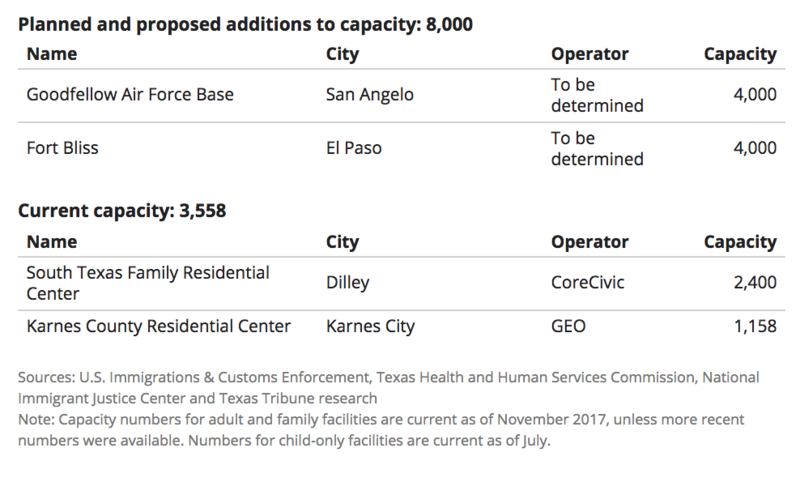 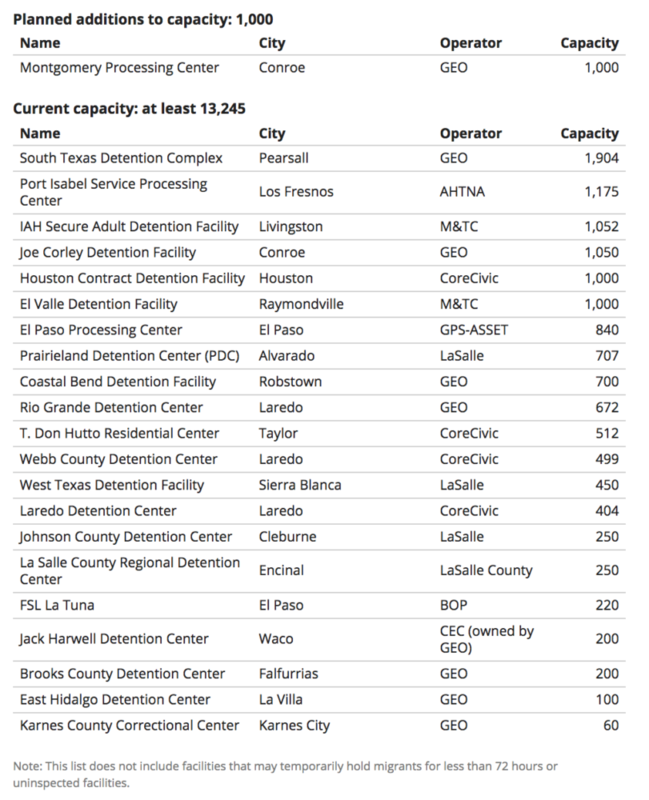 These facilities are usually regulated by the Texas Health and Human Services Commission, but Tornillo isn’t because it’s on federal property. 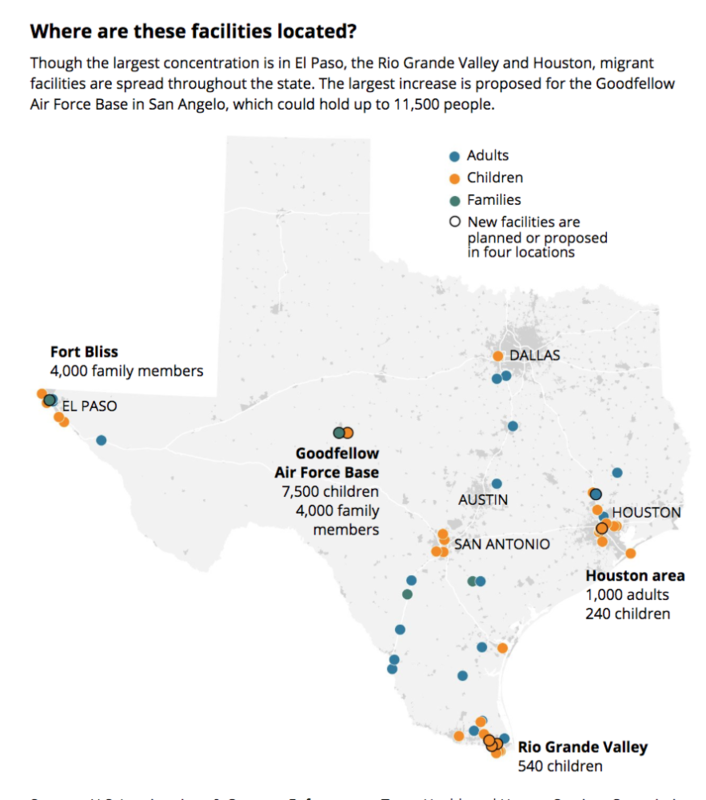 New military installations would also likely be managed by the federal government.